I am 26 years old; I have in the past been involved in a variety of sports at both at community and competitive level. Last year I cycled from Bradford to Hamm in Germany on my adapted bike. I have cerebral palsy and love to motivate others to take part in sport and physical activity; and show people nothing can stop you no matter your ability. How did you hear about the Peer Support Programme? What attracted you to or motivated you to get involved? 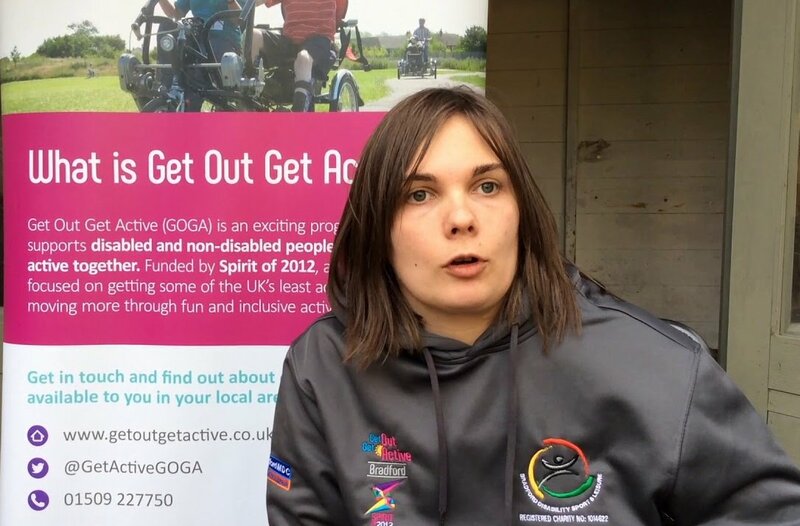 I wanted to help people become active that may have struggled to otherwise through not having as much confidence to exercise through having a disability or not being able to physically get to the venue. What is your favourite way to be active? Who were you or are you working with? I was mentoring two brothers alongside another mentor. What barriers did you have to overcome? The biggest challenge was changing the attitude towards activity and to try other activities until you find one you like. We started in the gym but it wasn’t motivational; but it took time to get them to try new things. We made a big step by going for a full day of activity including climbing and zip wires. Building confidence and trust is the biggest barrier to overcome as a mentor. Yes, not only was I supporting someone to be active, but I was able to be active too and try new things.